Latino SEM assembles specific teams depending on our clients’ needs and budget. 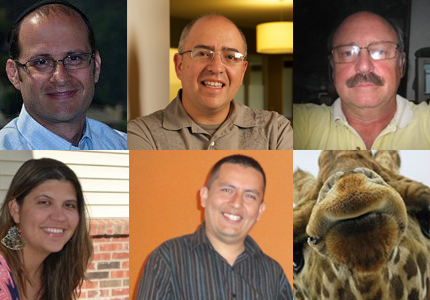 The rest of the team is composed by Eddie Treizman, Juan Tornoe (Consultant), Juanita Munoz, Johnny Lozada, Renzo Zavaleta, Jorge Aroca and Paula Aroca. Jorge Aroca is the Content Management Director and Chief Editor. Paula Aroca is a Senior Writer for Spanish-language projects. Eddie Treizman is the Director for the Hispanic Market with Dial800, where he focuses on helping businesses generate “More Calls and More Sales” while increasing profits and reducing lead generation costs. Among his clients are primarily Marketers and Advertising Agencies (Multicultural or General Market agencies) that target Hispanic consumers. Learn more about Inbound Call Marketing Tools. Juan Tornoe is the CMO with Cultural Strategies, Inc and acts as Cultural Strategist for projects that require his expertise. Juan’s strategic planning and consumer research informed marketing programs for ESPN Deportes and Domino’s Pizza, among others. Connect with Juan via Twitter (@JuanTornoe). Juanita Munoz founded Ahorrando Dólares in 2011 with the idea of helping Spanish speaking working families in the US to live on a small budget. Through her renowned blog among the Latino community, she shares promotions, inexpensive activities for the family, easy recipes, hosts giveways, provides product reviews and shares daily money savings tips. Johnny Lozada is the Lead Project Manager and Information Technology Director with Hispanic Market Advisors, and he oversees IT projects from start to finish. Renzo Zavaleta is the Web Designer and Web Support Go-To Person, based in Lima, Perú. Please contact us to discuss your specific project; we look forward to explore opportunities with you!